Fascinating Rock stepped up on anything he had shown on a racecourse before to land today's main prize for trainer Dermot Weld. The four-year-old winner, ridden by Pat Smullen in the colours of Maurice Regan's Newtown Anner Stud near Clonmel - which is where the horse was bred - came home one and a quarter lengths clear of runner-up Found, with evens favourite Jack Hobbs half a length away in third. Weld said: "I like this place! Fascinating Rock has always had the potential to do what he did today, and I had this race planned for about six months. 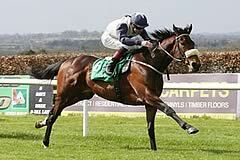 We knew it would be softer in the autumn, and he loves soft ground, and he was a decent horse in the spring. "He was only just beaten by Al Kazeem in May's Tattersalls Gold Cup, with King George winner Postponed in third, then we left him off for the summer, giving him time by the banks of the River Suir - and then he came back in. I probably left him too short of work for Windsor [where he was third in Group Three company at the end of August] and on that occasion the box ran into traffic coming around Birmingham and he was on the lorry for about four hours longer than ideal. That may explain why he ran flat at Windsor. It was his first run for four months. "Then he won by six lengths on Irish Champions' Day at Leopardstown and I was impressed with the way he did it, and then we stuck with the original plan which was this race today. The plan was to ride him off the pace and I told Pat to give him time and hunt away on him and he came home in front. That will be his final run this season. "Ascot has been very lucky for me - I've won Gold Cups and St James's Palace Stakes and Prince of Wales' Stakes. We don't have many runners, but this day is also very special." Aidan O'Brien was pleased with the performance of second-placed Found, who stayed on well under Ryan Moore to finish a length and a quarter behind the winner. O'Brien said of the three-year-old filly: "I am very happy with the run today; she ran a big race in the Arc and that performance was excellent. We are delighted with that as it gives us something to look forward to next year. "We couldn't help the race unfolding the way it did but Ryan was very relaxed and she ran very well. "I imagine that will be her done for the season. Obviously the lads will talk about it but I imagine that is her all for this year. She is one to really look forward to next year." 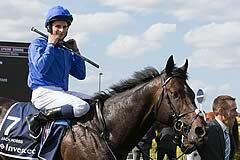 John Gosden, trainer of third-placed Jack Hobbs, said the race had panned out in the way he had expected. 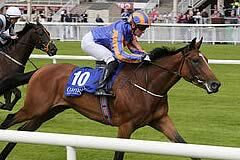 The Irish Derby winner, who started as the evens favourite, finished half a length behind Found. Gosden said: "Found has run a blinder. She ran a great race in Ireland; she got knocked over in the Arc; she ran a great race today, so it was no surprise to me [that she finished ahead of Jack Hobbs] - in fact I said to my wife Rachel on the way down in the car today this is what will happen: drawn wide, we're going to have to use him with the pacemaker, he's still such an immature horse it will catch him out in the last furlong, which is exactly what happened. So it's slightly what I thought. "It's all about next year - he's a big, overgrown kid and I couldn't be more thrilled with him today and I couldn't expect him to beat horses like that [pointing at Found]. "I always say that if you are on that draw  you have to go but you will pay the price at the other end. 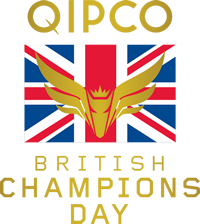 But come to this next year or a race like the King George, and he'll be a bigger, stronger horse, so I'm not in the slightest bit disappointed. It's what I expected, between ourselves."